Great PC remake of the classic MSX puzzle game King's Valley II by Konami. 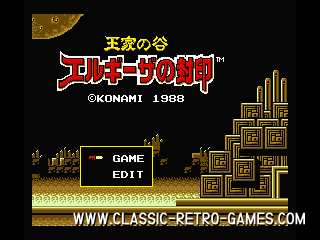 In this game you need to collect all treasures by drilling and cutting your way through the pyramids. But beware of the mummies that haunt the pyramids. Hours of fun playtime guaranteed! Currently rated: 4.9 / 5 stars by 157 gamers.